Looking for advice on natural health and wellbeing? Your local independent health store can offer a wealth of knowledge and expertise. 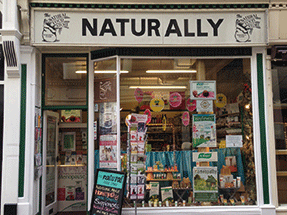 This month we speak to Angela Stephenson, store manager at Natural Food Store in Norwich. Sleep problems tend to be a common issue among our customers. We have customers coming to us for advice about this issue directly, but it can also arise when they are seeking advice about another health problem, such as digestion or hormonal imbalance. Sleep is so vital to our health and wellbeing that if you don’t get a good night’s sleep then nothing else is really going to work properly. Many of us lead very busy, very active lives and we’re always on the go. We want to get more and more minutes out of every day and that often comes at the cost of a good night’s sleep. A lack of sleep can lead to issues such as headaches, general aches and pains, stress and anxiety, difficult concentrating as well as not having any energy or get up and go. The first thing we would want to ascertain, if someone is not sleeping well, is whether they have a good bedtime routine. Do they go off to sleep just fine at a similar time every night but wake up in the middle of the night feeling wide awake? Or are they someone who goes to bed at 10.30pm and is still wide awake at 1am but when they do drop off they drop off fairly deeply? We ask these kinds of questions in order to work out whether we need to help with the relaxation aspect or the level and quality of sleep. In order to get to sleep, the body needs to be producing the hormone melatonin. Melatonin is created in the brain when there is no light hitting the back of the retina, which is why it is important to make sure that your bedroom is dark when you go to sleep. When the lights come on, the body stops producing melatonin and you naturally wake up. 5HTP is a natural supplement which is a pre-cursor to serotonin and reconverts serotonin to melatonin in the brain, therefore helping to regulate the sleep-wake cycle. It is available in capsule form and can be taken just before bedtime. Tryptophan is also utilised by the body to increase serotonin. It is found in foods such as turkey and lettuce, which is why we would suggest this as snack to try eating just before bedtime. Sometimes people who wake up in the early hours of the morning are waking up due to a drop in blood sugar levels. This could be because they have eaten an early dinner with the children and their bodies are struggling to function without food until the following morning. This is when a light pre-bedtime snack containing foods rich in tryptophan would be ideal. Another very good product, which we recommend to people who fall asleep ok but then wake up during the night, is Dormeasan from A.Vogel. This is a combination of valerian and hops that helps to promote a deeper level of sleep and helps you to stay asleep for longer. If someone is very stressed and can’t get to sleep because their mind is racing we might look at supplements like L-theanine, which is very calming and fast-acting. You get a very deep feeling of relaxation about 40 minutes after you take it. It also counteracts the stimulation of caffeine. Another great product for promoting relaxation in the evening is A.Vogel’s Passiflora Complex. This is a blend of avena sativa and passiflora which stops that building sense of panic and anxiety and helps to bring it down a notch. Lastly, there is a whole host of lovely herbal teas that people can try in the evening to help them wind down. We would recommend that they look for teas containing herbs such as lavender, lime flower, valerian, chamomile or lemon balm. The Natural Food Store is based in the heart of the historic Norman city of Norwich. It is an independent family-run business and its aim is to offer natural approaches to great health for everyone. The store has been trading for 40 years and, despite the name, it is now a supplement specialist rather than a wholefoods store. The staff members include an acupuncturist, a nutritionist, a trainee nutritionist, a homeopath and a trainee homeopath. Opened in 1977. Eight members of staff, most of whom are trained practitioners.